Lola Landekic is the Editor in Chief of Art of the Title, which she runs from her studio in Toronto, Canada. 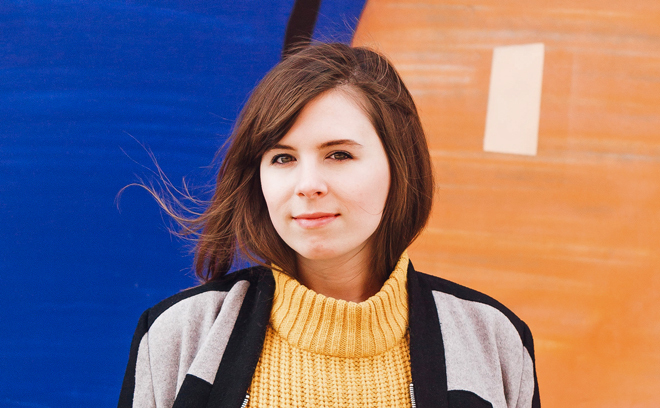 She is also a graphic designer full-time, currently on staff at The National Post. Previously, she has worked as a designer for newspapers The Toronto Star and The Globe and Mail, publishers HarperCollins and Random House, and in film. Her writing has been published in The Globe and Mail and AIGA’s Eye on Design. She has taught communication design and typography in motion at Sheridan College and has been a judge for the SXSW Title Design Competition, The Motion Awards, The Juno Awards, and The Rosalie Award. Lola has also done speaking engagements for organizations including the Smithsonian American Art Museum, SXSW, London College of Communication, California Institute of the Arts, and AIGA Design Conference. She is available for talks, lectures, and panel moderation. In her spare time, she contributes articles to Wikipedia. Smithsonian American Art Museum in Washington, D.C.
At the screening of the SXSW Title Design Awards Finalists, Lola Landekic and Will Perkins gave a talk which included a brief history of title design in Hollywood, the emergence of video game title design, and the possibilities of the medium. The talk capped off with an interview and discussion with filmmaker and title designer Henry Hobson.